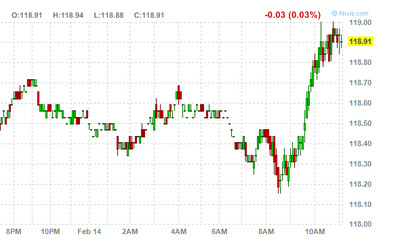 Obama’s budget is out, and Treasuries are rallying (yields are down). So this must mean that the market is giving a huge thumbs up to Obama’s deficit-cutting plans. OK, that doesn’t make sense, but if bonds were tanking, you can be sure someone would say the opposite.. that bonds are selling off on deficit dears.